pulse media communications: THE HEAT IS BACK! PUTRAJAYA, 12 November 2013 - Cast into epic battles from the start, another world-classpeloton is expected for the 19th edition of Le Tour de Langkawi (LTdL) fromFebruary 27 to March 8, 2014, and will be kept on their toes from start tofinish. Set to cover a total distance of 1,506.5km over 10 stages, theUCI 2.HC (hors category) race featuring again as one of the biggest events onthe UCI Asia Tour calendar, will also bring viewers through a myriad ofbreathtaking sceneries on offer in Peninsula Malaysia. 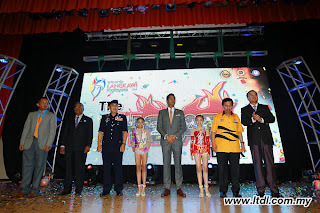 Minister of Youth and Sports YB Khairy Jamaluddin announced today that therace would be more nail biting compared to previous years. "Not only that, we are expecting exciting competitionwith all leaders' jerseys possibly changing hands everyday. 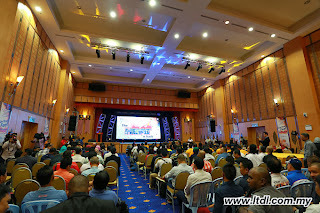 It will be an openrace until the very end, which will definitely keep the fans excited,"said Khairy. The race starts in it's spiritual home in Langkawi with atricky 101.1km route dotted throughout the stage. 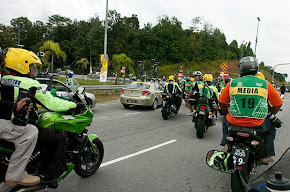 The peloton won't have iteasy with five category 4 climbs throughout the stage, beginning with an ascentup Bukit Malut, just five kilometres from the start in Porto Malai. 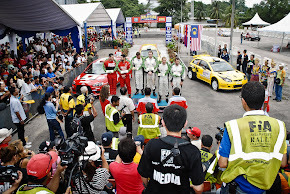 That will be followed by a stage that begins at a new startvenue, in Amanjaya, Sungai Petani, Kedah with the second stage covering 132.5kmto the serene finish venue at the Taiping Lake Gardens. 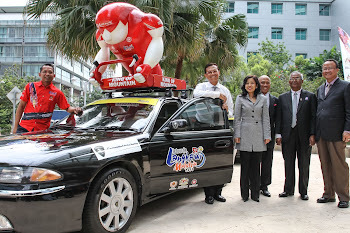 In stage 3, the race will be finishing at Dataran Merdeka,which was previously the iconic last stage for previous editions of LTdL,before Terengganu came in as venue sponsor, this will give fans in Kuala Lumpura nostalgic feeling. 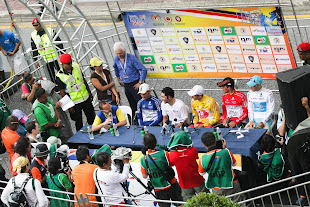 Though the race features its queen stage, the climb to thesummit of Genting Highlands on Stage 4, Khairy said the winner of the red kingof the mountains jersey may not necessarily emerge the victor in the mountainsclassification with many more points on offer in the remaining six stages. 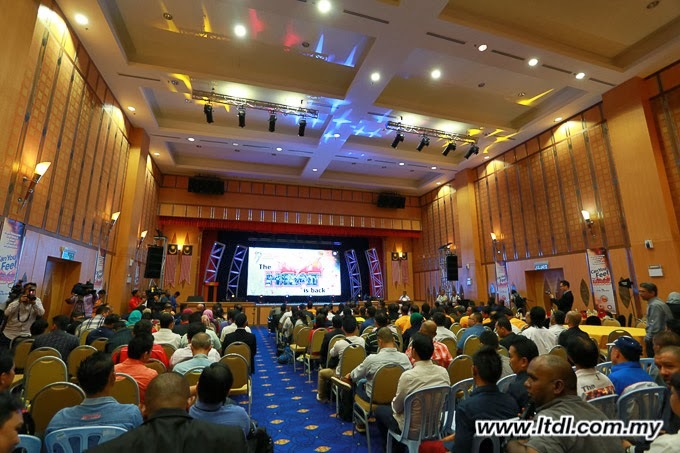 Significantly, the holder of the yellow jersey after theGenting Highlands stage will be tested in the remaining six stages, highlightedby Stage 7, a lengthy 230.1km coastal route from Kota Tinggi to Pekan, which isthe second longest stage in LTdL history. In fact the lengthy Stages 6, 7, 8 and 9 will see the pelotoncover an average distance of 200km per day, with levels of fatigue playing amajor role in opening up the race. "With 22 teams on the startlist, for the sprinters' teamsthe favourites will also find it hard to win every flat stage, which might alsonot necessarily finish in bunch sprints," said Khairy. 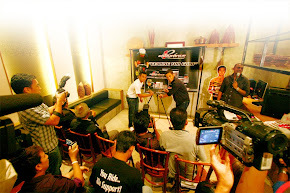 LTdL 2014, which carries the tagline "The Heat isBack", is the sequel to last year’s ‘The Heat is on” which have help boostthe impact of LTdL’s brand to the worldwide media. 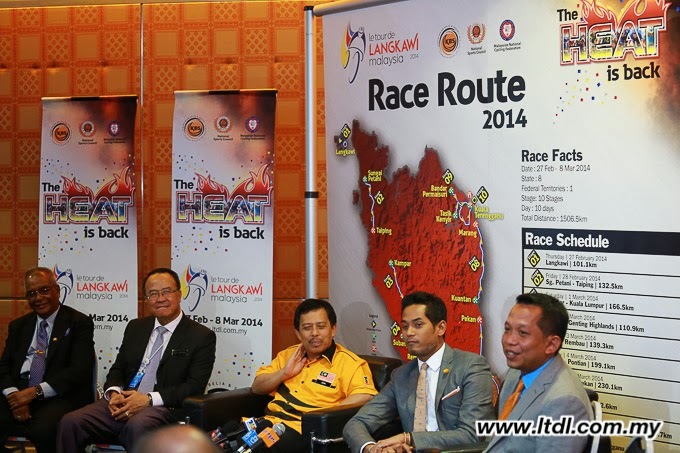 LTdL has been dubbed as thehottest annual race in Asia, run under immense tropical heat, with passionatecycling fans lined-up along the route, which seldom is part of the challenge inraces across the continent. “For the 2014 edition I am pleased to announce that Pro TeamSaxo-Tinkoff have confirmed their participation and I was told that theorganizers are still in discussion with 2 more Pro Teams to add to the line-up. 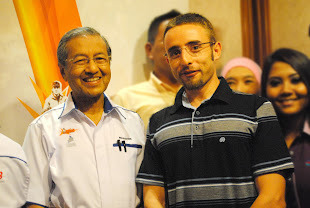 "said Khairy. 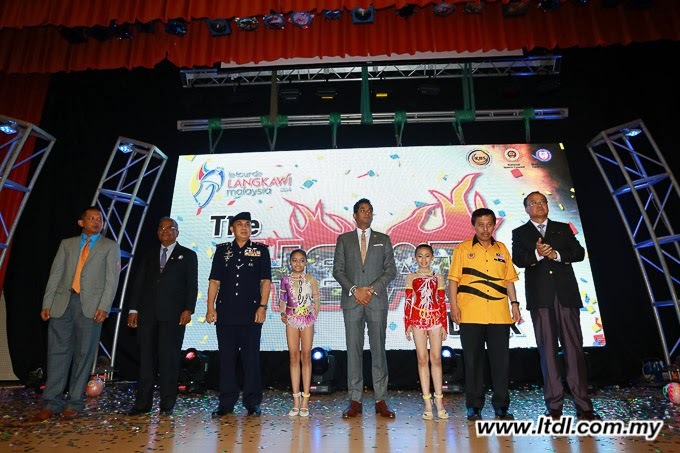 YB Khairy also highlighted the fact that the UCI had also, fora fourth consecutive year, acknowledged the level of organisation by accordingthe race an "excellent level of organisation" certificate. In confirming that via an officialletter, UCI expertise coordinator (road events) Josephine Clausen also noted thatthis was due to the high levels of safety during the event, along with goodinformation provided via briefings of press motorcycle pilots and technicalguides. 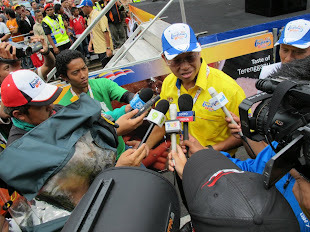 The LTdL received very positive remarksfor safety throughout the race especially with the presence of 78 motorcycleescorts and 30 marshals on motorbikes. 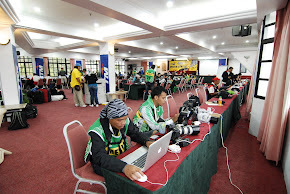 The organisers' reaction to flooding,with an alternative route with its profile and detailed map establishedovernight, also received high remarks from the UCI. Apart from the organisation, the 18thedition also attracted an unprecedented participation of five UCI Pro Teamswith the Astana, Omega Pharma-Quickstep, Garmin-Sharp, Blanco Pro Cycling andOrica-GreenEdge teams competing in the race. 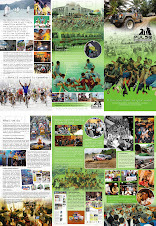 The 2014 edition, can be expectedto see an even stronger participation from the top teams. 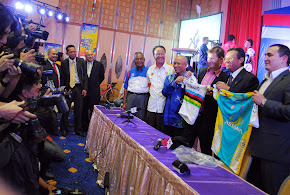 Alsopresent in the launching were Ministry of Youth and Sports Deputy Minister YBDatuk Saravanan Murugan, Secretary General Datuk Jamil Bin Salleh, NationalSports Council Director General Dato' Seri Zolkples Embong, Malaysian NationalCycling Federation president Tuan Haji Abu Samah Abdul Wahab, state officialsand tour sponsors.